Nokia 9 is expected to be launched in January next year which is a flagship smartphone featuring premium design and high-end specs like the Snapdragon 835 processor, Dual Rear Cameras etc. The phone has leaked a number of times in the past, and we already know a lot about it, from the design to the specifications. 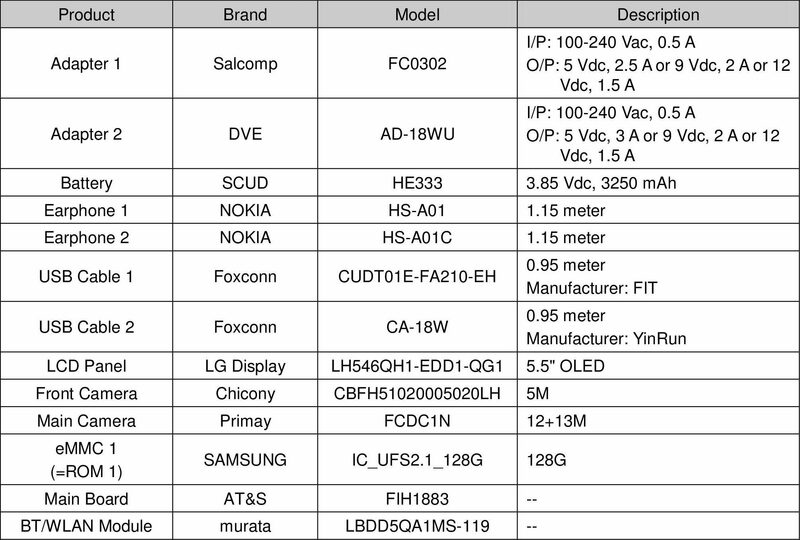 Today, the phone passed through FCC which confirmed some of the previously leaked Nokia 9 specifications. So, the Nokia 9 has a 5.5-inch OLED display from LG which is first for any Nokia smartphone so far. It is good to see that Nokia is finally using an OLED panel for its high-end smartphone. The phone is powered by Snapdragon 835 processor & comes with 128GB internal storage. We cannot say if there will only be one storage variant of the phone or not. Other specifications include dual rear camera setup that has 12MP + 13MP sensors. Under the hood, there is a 3,250mAh battery, and the phone runs on Android 8.0.0 Oreo out of the box. Well, it is weird to see that Nokia is finally launching a high-end flagship with such specifications that we wanted to see in 2017. The Snapdragon 845 has already been announced, and Galaxy S9 and S9+ are coming in February next year with this chipset. So, does it make sense to launch a phone with Snapdragon 835 next year and that too just a month before the launch of phones like S9 and S9+ with Snapdragon 845? Do let us know your opinions via the comments section.